Learn more about our parish by discovering Southampton History. Founded in 1505 by Juan de Bermudez, Bermuda has become spellbinding to new and returning travelers worldwide. The southernmost point of the main island houses the Southampton Parish, which home to The Reefs one of nine parishes on Bermuda, covering a quaint 2.3 square miles. 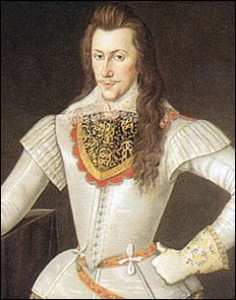 The parish was named after an English aristocrat, Henry Wriothesley, Third Earl of Southampton. It is worthy of note that Mr. Wriothesley was a dear friend of William Shakespeare and once imprisoned by Queen Elizabeth I. The parish was not always called Southampton, early Bermuda settlers termed it Port Royal instead. There are must see natural wonders in Southampton, a parish that also oozes history. During March and April, humpback whales can be spotted at Whale Bay during their migration. Church Bay is the best beach for snorkeling on the island, with an abundance of colorful sea life to observe. Rated the #8 beach in the world, Horseshoe Bay is perhaps the most famous beach on the whole island making it an absolute must see. ClickÂ hereÂ to check availability or call 800-742-2008 to book your next trip today!